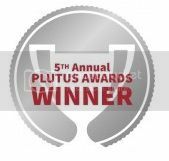 On September 20th, I was honoured to win the 5th Annual Plutus Award for the Best Tax Blog (after being a nominee the last two years). This is a prestigious American-based award ceremony celebrating the best in the personal finance blogosphere; winning the Plutus essentially means I won for the best tax blog in Canada and the United States. 1) The award is selected by my blogging peers. 2) As a former jock, I am competitive and like to win anything. 3) The awards were held on the fourth anniversary of my blog which started on September 20, 2010. How, coincidental is that? Today’s post is number 350! That is a lot of posts when you consider the technical nature of many of my topics, and the fact that I tend to write long blogs, despite advice to the contrary. I cannot believe I have been blogging for four years and have approximately 1,200,000 page reads. I have no idea how many more blogs I have in me. I would have expected to have exhausted my material by now, but somehow, I seem to keep coming up with topics (although I do now occasionally have variations on topics previously covered). I am often asked where I find the time to write, and how do I keep coming up with new ideas for my blogs? To be honest, I am lucky. 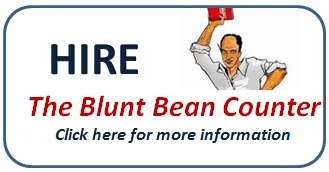 Writing The Blunt Bean Counter does take several hours a week, but I am fortunate that I can hear something in a conversation, discuss an issue with a client, and a blog jumps out at me, and I can write it in quick order. I know for many, writing is a tortuous process. 1. I enjoy educating people on tax and financial matters, while being provided the forum to voice my opinion. 2. I have met many interesting people through my blog both directly and indirectly. 3. Several readers have engaged me to be their corporate or estate accountant (unfortunately, due to my workload, I cannot take on personal tax clients anymore and have respectively turned down numerous requests). 4. 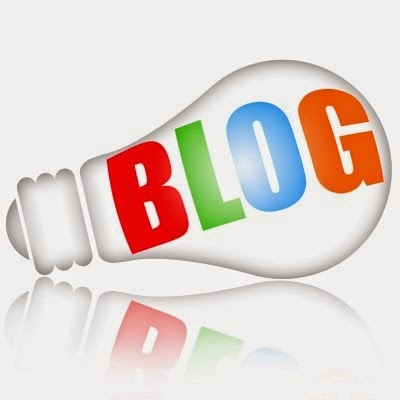 The blog has given me and my firm, Cunningham LLP, visibility and credibility. I would never have imagined when I wrote my first post and two people read it (my mom and someone by accident), how much attention it would garner. There is a fifth reason. The tax blog groupies, but shush, I don’t want my wife to know that one. I am fortunate to have several long-time readers who offer encouragement via comments on the blog or by email, and once in a while, constructive criticism. I have had many people approach me at various functions to introduce themselves to me as readers, which I still find mildly amusing. I am often told they like my blog because I break down complex topics into somewhat understandable blog posts (you can thank my wife, who constantly tells me to write in “plain English”) and that I have a bit of a personality in my posts. But that comment is always prefaced with “for an accountant”. The only downside to this blog is that some people think because I write a blog they can call or email me with the most complex situations, and I will provide them free tax advice. I do try and answer almost all questions posted to the comments section on my blog; although, I often provide the caveat that I “do not provide specific personal or corporate tax planning advice on this blog”. I do however, try and point the questioner in the right direction, without providing a direct answer to their fact specific question. So where am I today? I started working on a book a couple of years ago (it is not really a tax book, but more a financial and money matter book), but I just do not have the time to get it done and am not sure I ever will. Thus, I changed gears a few months back and started putting together a Best of The Blunt Bean Counter book. In my humble opinion, it is actually not a bad read with a nice flow when my blogs are grouped together by topic area. The book is strictly being done for business promotion purposes, and I do not expect to make enough money to even buy a new suit from it. I have a few other interesting things happening and some ideas for the future of the blog, but I will discuss those at a later date. To circle back to my Plutus Award, I would like to thank my readers who encourage me to keep writing and the numerous financial bloggers, guest bloggers, writers, and journalists, who have helped me to achieve this level of recognition. Congrats on the award. Well deserved, at least in my opinion, for the down to earth articles. I may have a slightly divergent opinion than you at times but I really appreciate your thoughts and considerations about the topics espacially from a Canadain point of view. After all our tax systems is not tied to the US of A system especially on retirment issues. Keep up th egood work. Thx, I like divergent opinions, always feel free to express them in the comments section. Congratulations, a well deserved award for you. How do accountants celebrate? Any success I have had has come in large part through the help and assistance from other Canadian financial bloggers like yourself, thank you. Congratulations, your posts are always on my reading list. Keep up the good work! Mark, thx for the very kind remarks. Congratulations Mark. You have worked very hard on this personal project over the years, and have made The Blunt Bean Counter the best stand alone business blog I know of, and can recommend to others starting down the path.. Its your passion that's so rare and special, and that's what won the award I'm sure. Another round of congratulations for your book, please know that I will certainly buy a copy, read it and then give its as a gift to one of my wealthier friends - that's how I get extra value. Thx Rob and I appreciate your help over the years. I happen to be searching for anything under the Google sun about "Family Trust". And I bumped into your article. I have been hooked reading about your blogs since then. Your blogs are very educating I feel like a graduate of BBC at the end of each read :-) Congratulations on your well deserved award. Looking forward to your book.